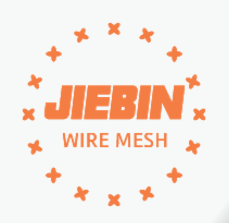 Product categories of Shaped Wire, we are specialized manufacturers from China, Shaped Wire, Stainless Steel Shape Wire suppliers/factory, wholesale high-quality products of Flat Steel Wire R & D and manufacturing, we have the perfect after-sales service and technical support. Look forward to your cooperation! Packaging: Carton box or according to your requirement. Packaging: Plastic inside then woven bag or according to your requirement. Packaging: plastic film then woven bag or carton or as your requirements. The shape of cross section: Flat, oval, square, ladder, semi-circular, triangular, hexagonal, diamond, etc. The most pouplar Shaped Steel Wire is Flat Steel Wire and Oval Wire. Size: 3.0*3.9mm; 2.7*3.4mm; 2.4*3.0mm ; 2.2*2.7mm; etc. Finish: Hot Dipped Galvanized, Electric Galvanized. Application: It used wide in building (construction), handicrafts, wire cloth weave, highway protective barrier, product packaging and daily civil products etc.